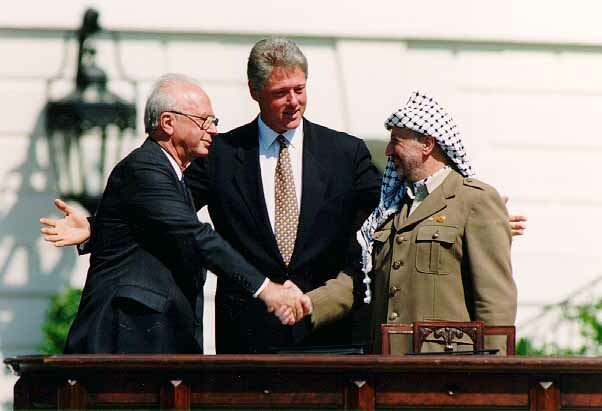 This week on September 13th, we marked a quarter of a century since the signing of the Oslo Accords on the White House Lawn. When those accords had been signed, Israel agreed to the “land for peace” formulation, where the Israelis were to give up something very real and very tangible, strategic territory, in exchange for empty words and promises. Israel, in good faith, demonstrated that it was more than willing to give up land in Gaza, which was an internally gut-wrenching decision that pitted Jew against Jew. In 2005, more than 8,000 Jews were forced to leave their homes, and for many of them, their life’s work and their livelihoods in exchange of what was supposed to be a lasting and durable peace. Gaza has become “Judenrein” and has been used as a base to launch incendiary kites with swastikas emblazoned on them, and balloons, condoms and missiles, devastating thousands of acres of Israeli farmland and terrifying the Israelis living in the bordering communities. Many of the people there, adults and children alike, have been suffering from current traumatic stress syndrome, manifesting itself in agoraphobia, (refusal to leave the house), chronic nightmares, and in the case of children, bedwetting and other regressive behaviors. What Israel has received in return for all of this has been nothing more than vacuous empty promises, that have been recycled over and over again in the Hebron Agreement, the Wye River Accords, at Camp David II and at Taba. Many promises have been made, but the premise predicating all of these promises was that the Palestinian Authority would recognize Israel’s right to exist, end the incitement to hate and to kill Jews, and to once and for all eradicate terrorism. In profound contrast to this, we have seen how the Palestinians have created a pervasive culture of hatred against Jews, using every means possible, to incite their population to hate and to murder innocent Jewish civilians. This includes lessons in the classrooms, in the summer camps, ads on P.A. 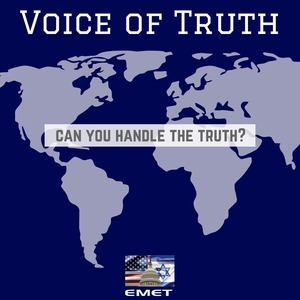 controlled television and in the media, extolling the virtues of martyrdom and the “right of return” to their fathers,’ grandfathers,’ or great-grandfathers’ orchards and vineyards in Haifa and in all of both post and pre-1967 Israel. One of the most tragic sacrifices that Israel has made throughout this epoch has been that of the Judeo-Christian value of the “sanctity of human life.” We have watched as the death toll of innocent civilians has steadily mounted, resulting in close to 3,000 Israeli civilian fatalities and approximately 70 Americans, that we know of. In the beginning of Oslo, those on the left had cynically and euphemistically dubbed these deaths, “Korbonot shel Shalom” (sacrifices for peace). How members of the Israeli left had managed to lose their empathy for the deaths of their own people for the sake of a political agenda will forever remain as a black spot in Jewish history. Since President Trump took the courageous move of recognizing Jerusalem as the eternal capital of the Jewish people and moving the American embassy there -- which is nothing more than “reality therapy” since Jerusalem has, for all intents and purposes, been the capital of Israel since 1948 -- the Palestinian Authority has refused to meet with any administration official. The PA has rejected out of hand the Trump administration’s peace plan, even before having had a chance to look at it. President Trump and his administration should be applauded for taking the bold step on Tuesday of shuttering the PLO office in Washington. The shutting down of this office is actually required by a law passed by Congress in 2015, predating the Trump administration, which states that the PLO should not attempt to use the International Criminal Court against Israel. Last November, Mahmoud Abbas spoke at the United Nations, calling for an investigation of Israel by the ICC. Mr. Abbas and his predecessor, Yassir Arafat, have exploited the good will of the American people and the international community, and used it to wage a continuous defamation campaign against the State of Israel, the very nation that they were asked to make peace with 25 years ago. After a quarter of a century, the American people and the Trump administration have woken up to the dubious game that the Palestinians Authority has been playing all along, and the patience of the American people and of the administration is finally wearing thin. The jig is finally up.